MIT Press, Cambridge MA, USA, 1999. ‘… although I will argue against creationism as a science and do what I can to counter its divisive rhetoric, I do not mean to attack the sincerity of intentions of creationist believers. Also, none of what I write should be taken as an attack upon religion in general or Christianity in particular’ (p. xviii). Tower of Babel is poorly written, rambling and long-winded (it is about 400 pages long). Some of the chapters have been based on articles written by the author at different times (p. xvi. ), but they have not been edited well. The author often changes from one subject to another and then back to the first, so it is difficult to give a non-repetitive summary of each chapter. One of the main purposes of the book is to show that the creationist movement is ‘evolving’—new varieties are emerging, and all these varieties are hostile to each other—hence the title of the book, taking the name ‘Babel’ in the sense of ‘babble.’ Also, the book seems to be an attempt to stem the tide of creationism in the United States (where the movement is growing to alarming proportions, according to Pennock), and to give reasons against the introduction of the teaching of creation in the public schools. ‘The new attacks are against science as a way of knowing and here the defense must be taken up on the philosophical side. The truth of nature and the nature of truth: these are the issues’ (p. 42). Pennock lumps together as creationists anyone who is anti-Darwinian, including scientists who are either agnostics or are inclined to believe in some type of evolution. This enables him to pick out peripheral views and hold them up to ridicule, and imply that all creationists have these attitudes or beliefs. Pennock also claims that creationists are continually invoking supernatural explanations for everything (‘God of the Gaps’-type arguments). He repeatedly says that creationism has nothing to do with science because it allows a supernatural element. While discussing proofs for evolution, Pennock makes the surprising statement: ‘It is the great explanatory power of evolutionary theory—that it accounts for so much data so well—that testifies to its truth’ (p. 54). This statement seems to imply that scientific verification is not important. If this statement were true, creationism would be valid, since it also explains things well. Whether it appeals to supernaturalism would be irrelevant. Compare this also with a statement Pennock makes in the next chapter: ‘Of course Popper was correct that science should rule out all-purpose “explanations” …’ (p. 100). ‘Protein molecules exhibit such tremendous variety and complexity in their three-dimensional structure that it might make one despair of ever explaining their origin, but it turns out at the more basic level that proteins are fairly simple’ (p. 87). But of course the most complex objects are simple at their lowest levels—the issue is not the simplicity of the base components but how they are put together. By this ‘reasoning’, Pennock may as well dismiss the design in computer programs because they ultimately comprise a sequence of just 1s and 0s! The informational complexity of proteins/enzymes (and the DNA which encodes them) is underlined by the difficulty molecular biologists have in designing from scratch a functional enzyme that works effectively. They even have difficulty in developing a reliable algorithm that predicts the 3-D shape of a given amino acid sequence. Also, cells use chaperonin proteins to make sure they fold into the correct shape. ‘… note that this is not a case of the computer scientist surreptitiously programming in the design. Though the programmer does in many cases have some knowledge in advance of the problem domain and includes this information to narrow the search space, the program does not know in advance what will work. Often the programmer is equally in the dark and is surprised by the design solution a genetic algorithm comes up with’ (p. 105). However, all the elements in a genetic algorithm are specified in the program. All the parameters for each element are also specified. Only the order of joining together of the elements or the values of the parameters is varied. In effect, the outcome has no more information than the program that specifies the boundaries—so the process is not analogous to evolution where new information supposedly arose without any pre-programming. Furthermore, refining the parameters for an existing structure, such as a wing, is achievable by an iterative process, because no information is being added. The given parameters are merely being adjusted for the optimum. Creationists do not deny that mutations and natural selection could do this, but such natural processes will never add new information, such as to account for the wing itself, or a feather, the ATP-ase ‘motor’, etc. In the same chapter, Social Darwinism with all its evil fruits is accounted for by Pennock as simply a misunderstanding arising from colloquial uses of Spencer’s catchphrase ‘survival of the fittest’ (p. 97)! Variation within established complexity, such as these finches. beaks, offers no explanation for the origin of complexity. Pennock also outlines a study conducted over a period of time in the GalÃ¡pagos Islands, where an increase in size and hardness of seeds caused smaller birds to die off while stronger-beaked birds survived (p. 102). This is indeed a good example of natural selection operating. But according to Pennock, creationists criticize this example simply because they are ‘“unimpressed” by such minor variants’ (p. 103). But the main point is not small vs. large, but whether new genetic information arose. Here, natural selection sorted out pre-existing genetic information into separate populations, by eliminating different fractions of the information from the different populations. Pennock also criticizes the view often presented by creationists that if we tell people that they are descended from animals, then they will behave like animals. Certainly, the real reason man lives wickedly or violently is his corrupt sinful nature. But the argument usually presented by creationists is: if we tell people that they are descended from animals (or pond scum), then they will assume that there is nothing more to human life than the basic animal activities such as eating and drinking, and there is thus no spiritual or moral dimension to man. Chapter 3 is the key chapter of the book. According to Pennock, scientists are becoming frustrated in debates with creationists because the audiences are mostly pro-creation. The first reason he gives for this is that the audiences are ignorant and are unable to evaluate the arguments adequately (p. 119)! The second and more important reason, which he frequently repeats, is that ‘many people are predisposed to reject the distasteful idea that we humans evolved from ape-like ancestors’ (p. 119). If Pennock really believes that this is the main reason creationists reject evolution, then he is greatly deluded! Pennock suggests that perhaps if creationists were introduced to evolution in a context that was neutral they might be more receptive—so he introduces the ‘evolution of languages’. Pennock states that if we believe in the ‘evolution of languages’, then we should also believe in biological evolution. Of course, the word ‘evolution’ is being used here in an extremely loose way. ‘Development’ is a less loaded or controversial word than ‘evolution’ to describe the history of languages. In another paper, The development of languages is nothing like biological evolution, I analyze the comparison of the development of languages with biological evolution in detail, with explicit reference to some of the main claims of Pennock.13 In this book review I will just note some points about Pennock’s treatment of the subject. Pennock outlines William Jones’ famous proposal of a common source (later called Indo-European) for Sanskrit, Latin and Greek, and other European languages. He makes the absurd claim that Jones here introduced the revolutionary idea that languages change over time and that this was ‘… a radical break from the traditional, Christian view that languages, divinely created, were immutable …’ (p. 134). But no-one, whether Christian or not, has ever believed that languages are immutable! For example, the Romans supposed that Latin had developed from Greek, and around 1500, several scholars proposed that French, Italian and Spanish had developed from Latin.14 Even the fact that the Romance languages had developed from the spoken Vulgar Latin instead of the literary Classical Latin was noted by the scholar B. Aldrete in 1606.15 For a long time, many scholars also believed that Greek had developed from Hebrew, and although there were many similarly ridiculous theories, no one ever suggested that languages were immutable. The Lord’s Prayer, as printed in the original, 1611 King James Version (left), and the 1960 New American Standard Bible (right). Contrary to what Pennock claims, the development of language is nothing like biological evolution. ‘Where does one language leave off and the next begin? Kinship terms are among the words most highly resistant to major change, as we see above in the variations of the word “father”. The transition from the Latin reflects a regular transformation …’ (p. 131). But there was no transition from the Latin version to the English version—most of the words in these versions are in fact unrelated! English is not descended from Latin (which Pennock’s words seem to imply), but these languages share a common source. He does not explain at all the proper reason for the similarity between the few common words which are related (such as father/pater). After describing the background history concerning languages and his main argument comparing languages with biological evolution, Pennock writes: ‘In the remaining sections of this chapter I will continue to draw out the parallels between linguistics and biology’. However, the long sections ‘Micro- and Macroevolution’ and ‘God of the Gaps’, which follow, contain various convoluted discussions concerning biological evolution with no comparison with languages at all! This is a good example of the rambling structure of the book. In the middle of the ‘God of the Gaps’ section (p. 169), Pennock launches into a criticism of Michael Behe’s ‘groundhogs crossing the Schuylkill Expressway’ illustration.16 But Pennock then extends this illustration to a possible explanation of the Cambrian explosion: ‘… a reasonable explanation is that the crossing was made somewhere else, at a different stretch of the highway, perhaps back on that rural road and then through quiet back alleys, where the lanes were fewer and narrower’ (p. 171). Does Pennock’s metaphor here have any meaning? Chapter 4 deals with philosophy. This chapter and the following two are mainly an attack on Phillip Johnson, who comes across as the arch-enemy. Indeed, Johnson is presented as the leader of modern creationists (p. 184). Most of the chapter consists of criticisms of Johnson’s writings on naturalism and the philosophy of science. This chapter is difficult to read, and it is often not clear what Pennock’s argument is. An amusing quote from this chapter is: ‘… so far we do not have a single case of intelligent creation of life; rather our universal experience to date is that only unintelligent material processes do so’ (p. 203). Of course he doesn’t describe in detail our experience of this ‘fact’! In Chapter 5 Pennock attacks the arguments of creationists of various kinds. He starts with criticisms of creationists for their treatment of the ‘Paluxy man-tracks’ and the amount of dust on the moon. As usual, Pennock ignores the fact that creationists themselves have criticized these arguments. The two arrangements of photoreceptors. The arrows indicate the direction of incident light. The inverted retina, contrary to evolutionists’ accusations of imperfections, exhibits remarkable design features. Pennock discusses Fred Hoyle’s calculations on the probability of getting the exact sequence of amino acids for a protein at random. He claims that this is simply a misunderstanding of ‘cumulative selection’. But he fails to realize that Hoyle was dealing with the origin of the first self-reproducing cell, and that selection is differential reproduction, so it cannot explain the origin of the first reproductive machinery. Chapter 6 contains further discussions on supernaturalism and philosophy. Pennock gives a history of supernatural theories (much of which are pagan and irrelevant to creationism), and Johnson is again copiously criticized. In Chapter 7, Pennock tries to calm the fears of those who see evolution as evil. Yet again, Johnson’s writings on this subject are the main target of Pennock’s criticisms. Pennock reassures readers that evolution does not imply that God does not exist and that scientific naturalism is not atheism. He claims that the world is full of people with lives that are meaningful, without any need to believe in God. But this depends of course on your definition. If life itself is an accident, and there is nothing after death, life does seem rather meaningless to the thoughtful. In this chapter Pennock states that Johnson and other creationists have the view that moral value comes from God’s commands: something is right (like loving another) only if God commands it, while if God were to command us to hate one another then that would be right. This ignores the biblical view that God’s commands proceed from His holy nature; they are not just arbitrary products of His will, unlike the capricious commands of pagan deities. Chapter 8 is concerned with the issue of teaching creation or evolution in schools. The position of the US Constitution, i.e. the separation of church and state, and the prohibition of religious education in the public schools has made the perceived problem a peculiarity of the American system. Pennock’s main argument is that creationism is a private religious belief while science is a public issue, so creationism should not be taught in schools as science. Pennock here charges creationists with deceitful tactics when he suggests that ‘Creationist “stealth candidates” run for school boards and reveal their agenda only once elected’ (p. 344). Compare this with Pennock’s statement concerning the motives of creationists quoted at the beginning of this review. Pennock also gives his views on the ‘American democratic ideal’ and the US constitution. I believe that any bearing the US constitution has on the subject is really to do with religious education in general, and not creationism per se. Creationists should be encouraged by the fact that this book has been written. Pennock says that at first he had only an academic interest in the creationist movement, but now realizes that it is growing fast and is a threat to the establishment. His main concern is to prevent the teaching of creationism in the public schools of the United States. A useful outcome from this book would be that if creationists who read the book find valid criticisms, they could then correct any relevant errors (though it requires a lot of endurance to get through the second half of the book). Since the book is poorly written, and aimed at a more academic audience, it is unlikely to make much impact on the general public. As it does not present any substantially new arguments for evolution or against creationism, it should not be considered as a threat to creationists. The fact that a large proportion of the book is aimed at Phillip Johnson and Michael Behe seems to suggest that their writings are gaining influence, but perhaps these advocates of intelligent design will be increasingly confused with biblical creationists in the future. The comparison of the development of languages with biological evolution is not new, but perhaps it will be promoted further by other evolutionists in the near future because of the significant emphasis placed on it in this book. Pennock is now Assistant Professor of Philosophy at The College of New Jersey (April 2000). Return to text. 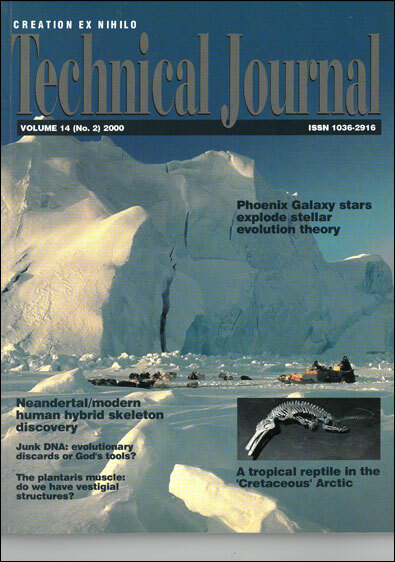 Scott, E.C., Creationism evolves, Scientific American 281(2):76–78. Eugenie Scott is the executive director of the National Center for Science Education, an organization which has little to do with real science like physics, chemistry or even experimental biology. Rather, it is totally devoted to promoting evolution. Scott has won secular humanist awards for her anti-creationist efforts. Return to text. For a response to Scott, Ref. 2, see Wallace, T., Tower Babble, 19 April 2000. Return to text. For a historically accurate account of the Scopes Trial, See Menton, D., Inherit the Wind: an historical analysis, Creation 19(1):35–38, 1996. Return to text. Thaxton, C.B., Bradley, W.L. and Olsen, R.L., The Mystery of Life’s Origin, Philosophical Library Inc., New York, pp. 200–217, 1984. Return to text. See the reviews of this book at <www.amazon.com>, reviewer Robert Kirkpatrick, 19 January 2000. Return to text. Snelling, A.A., The cause of anomalous potassium-argon ‘ages’ for recent andesite flows at Mt. Ngauruhoe, New Zealand, and the implications for potassium-argon ‘dating’ ; in: Walsh R.E. (ed. ), Proceedings of the Fourth International Conference on Creationism, Creation Science Fellowship, Pittsburgh, pp. 503–525, 1998. Return to text. Snelling, A.A., Conflicting ‘ages’ of Tertiary basalt and contained fossilised wood, Crinum, Central Queensland, Australia , Journal of Creation 14(2):99–122, 2000. Return to text. ReMine, W.J., The Biotic Message, St Paul Science, St Paul, MN, 1993. Return to text. Spetner, L.M., Not By Chance! The Judaica Press, Brooklyn, NY, 1996, 1997. Return to text. Woodmorappe, J., Noah’s Ark: A Feasibility Study, Institute for Creation Research, Santee, CA, USA, 1996. Return to text. 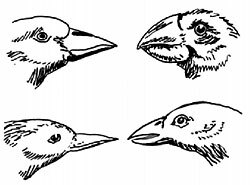 Wieland, C., Review of J. Weiner’s Book: The Beak of the Finch: Evolution in Real Time, Journal of Creation 9(1):21–24, 1995. Return to text. Steel, A.K., The development of languages is nothing like biological evolution, Journal of Creation 14(2):31–40, 2000. Return to text. Lockwood, W.B., Indo-European Philology, Hutchinson, London, p. 18, 1969. Return to text. Lockwood, Ref. 14, p. 19. Return to text. Behe, M.J., Darwin’s Black Box, Simon and Schuster, New York, p. 140, 1996. Return to text. Behe, M.J., The God of Science: The Case for Intelligent Design , The Weekly Standard, 7 June 1999). Return to text. Woodmorappe, J., The panda thumbs its nose at the dysteleological arguments of the atheist Stephen Jay Gould, Journal of Creation 13(1):45–48, 1999. Return to text. Gurney, P.W.V., Our ‘inverted’ retina—is it really ‘bad design’ , Journal of Creation 13(1):37–44, 1999. Return to text. Dawkins, R., The Blind Watchmaker, Penguin, London, p. 46, 1988. Return to text. Gitt, W., Weasel Words , Creation 20(4):20–21, 1998. Return to text. Truman, R., Dawkins’ weasel revisited , Journal of Creation 12(3):358–361, 1998. Return to text. Behe, Ref. 17. Return to text. Wieland, C., Regenerating ribs: Adam and that ‘missing’ rib , Creation 21(4):46–47, 1999. Return to text.